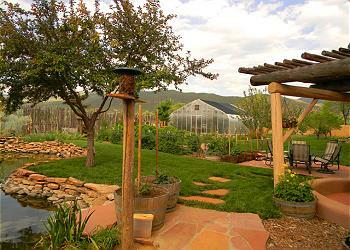 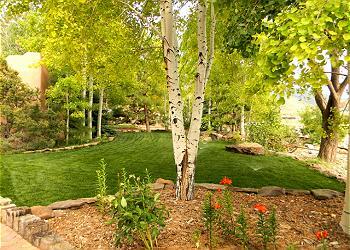 Garden Oasis says it all. 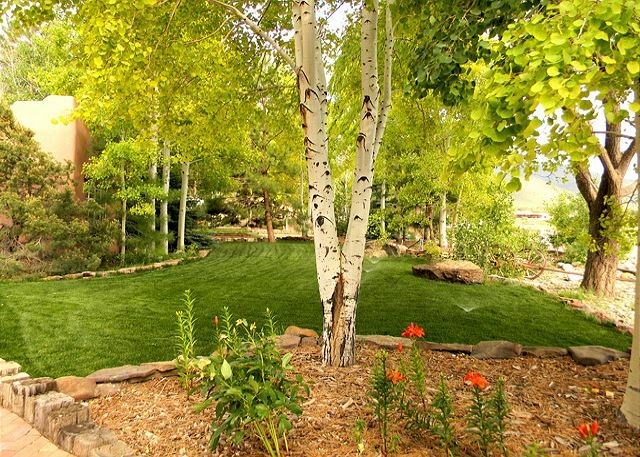 Exquisitely landscaped from stem to stern with perfectly groomed flower gardens that capture the hearts all who visit and stay awhile. 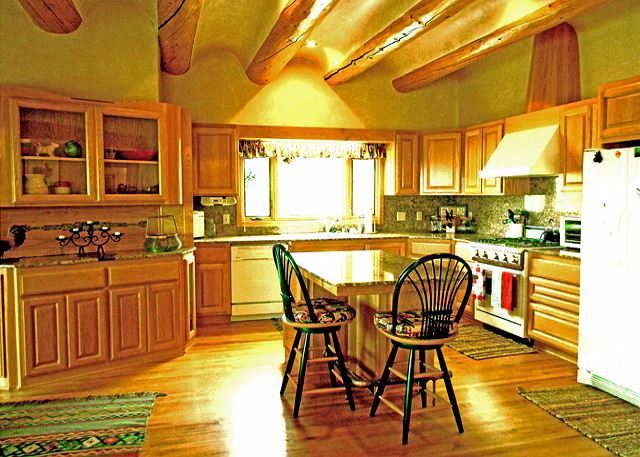 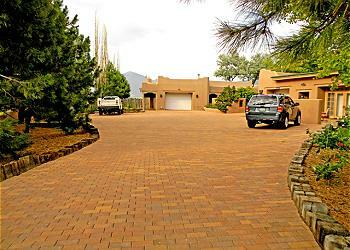 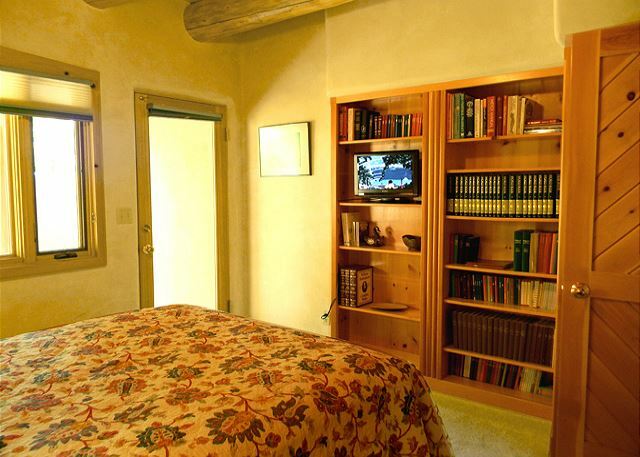 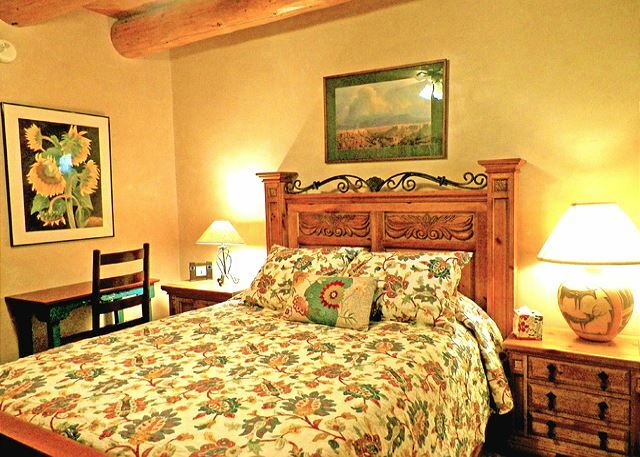 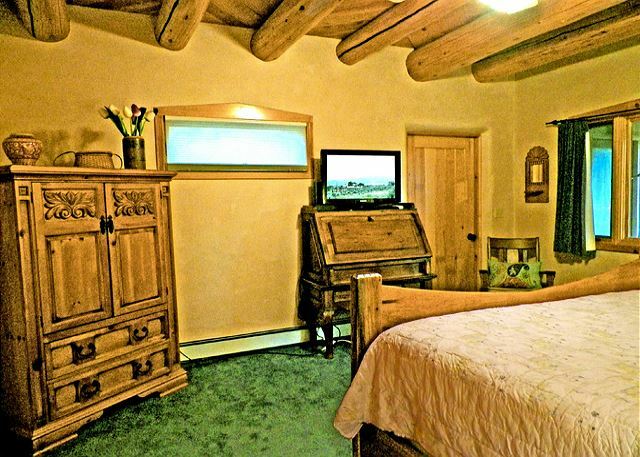 The large and exquisite brick entry drive quickly tells visitors they have chosen a discretly upscale vacation lodging experience like none other in all of Taos. 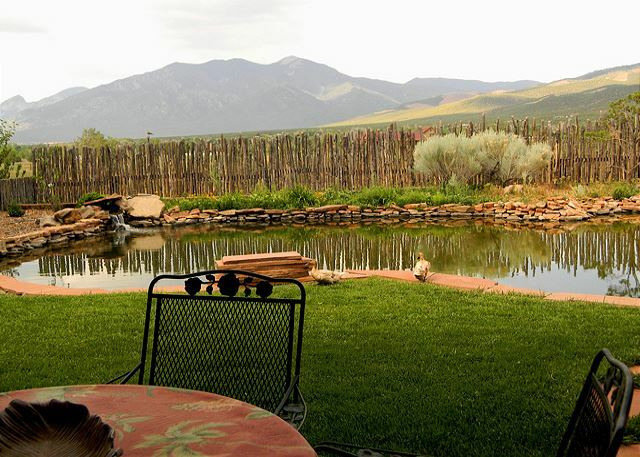 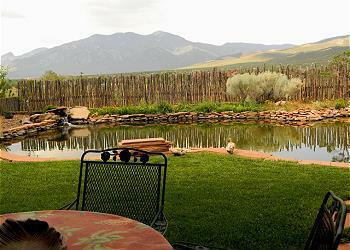 The peaceful duck pond reflecting the awesome serenity of Taos Mountain calls guests to let go, unwind and enjoy complete relaxation and rejuvination. 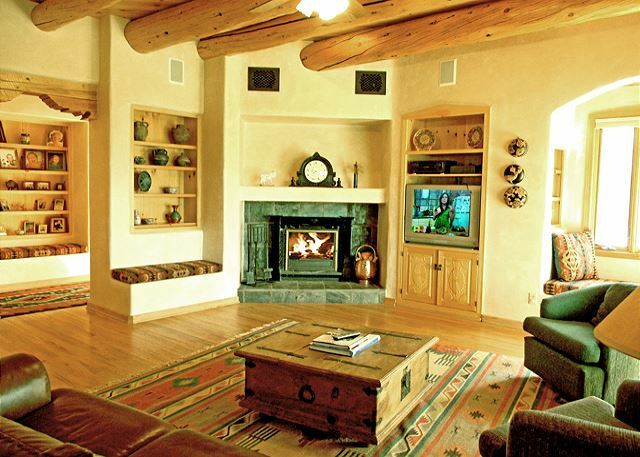 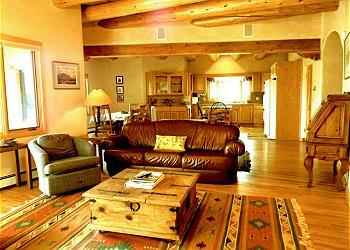 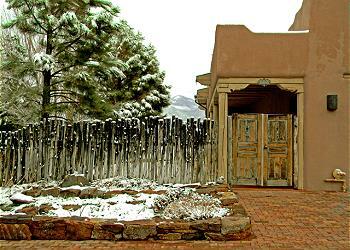 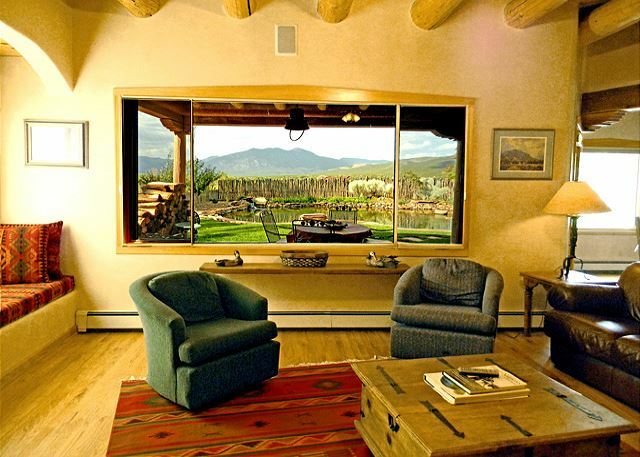 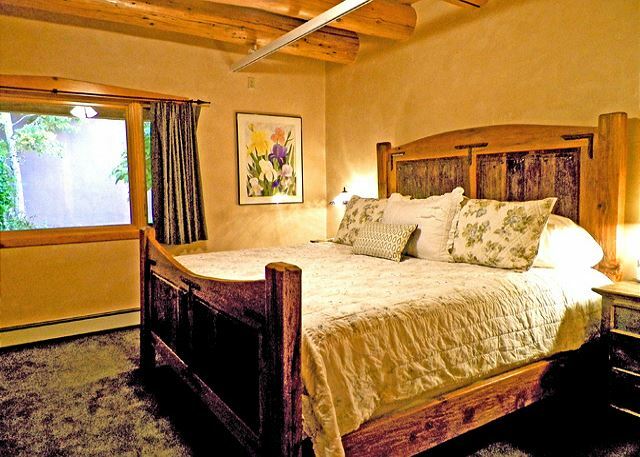 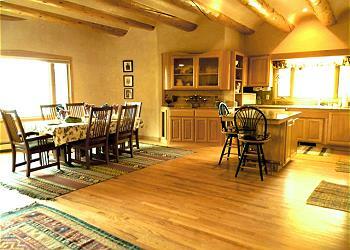 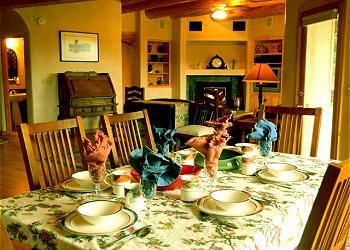 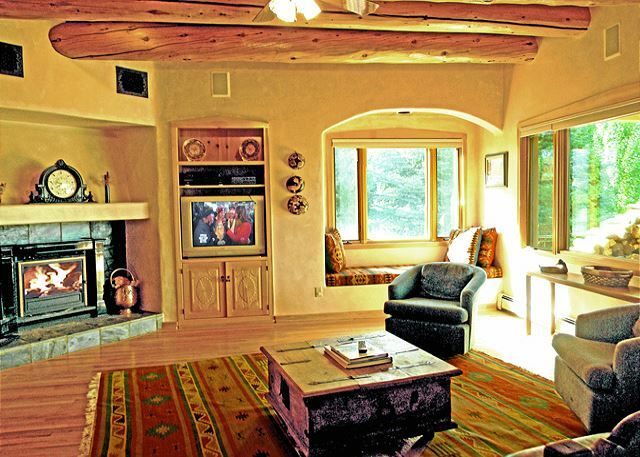 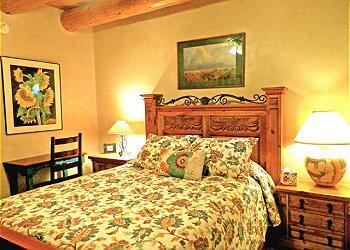 Escape to the private covered patio and experience the magic of Taos, New Mexico as you watch the changing colors of Taos Mountain so famously painted by Georgia Okeefe. 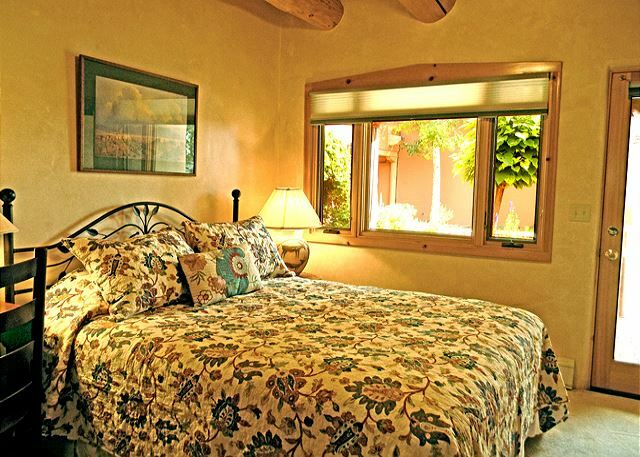 Furnished with upscale linens, bedding, furniture and window treatments, guests feel pampered immediately upon walking through the front door. Attached to the main house and separated by a large and sound buffered breeze way, guests have absolute sound proof privacy with the secure of knowing that assistance with any need is readily available. 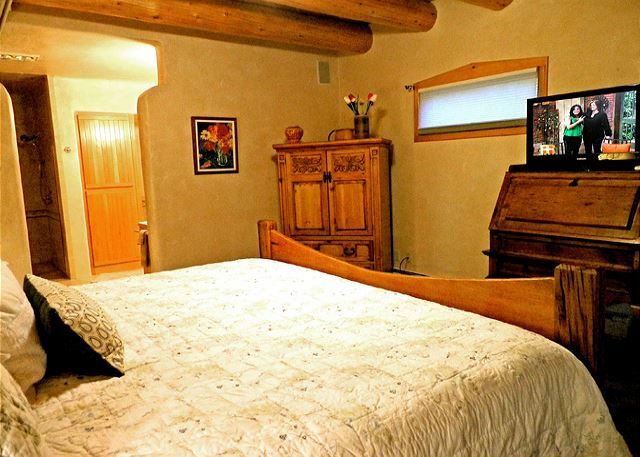 Guest privacy is strictly respected and should you wish to get to know some locals, the owners are absolutely warm, charming, delightful to know. 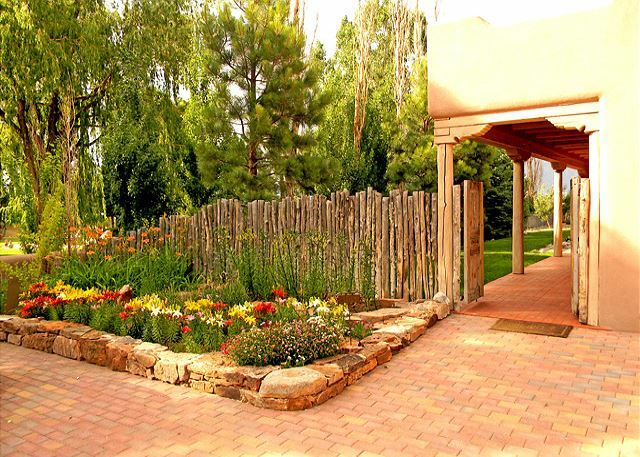 A short 2 mile very easy drive to Taos Plaza opens another whole new Taos experience with shops, galleries, museums, restaurants, pubs, Kit Carson Park, a magical children's toy store with playground, Thursday night live music on the Plaza and much more. 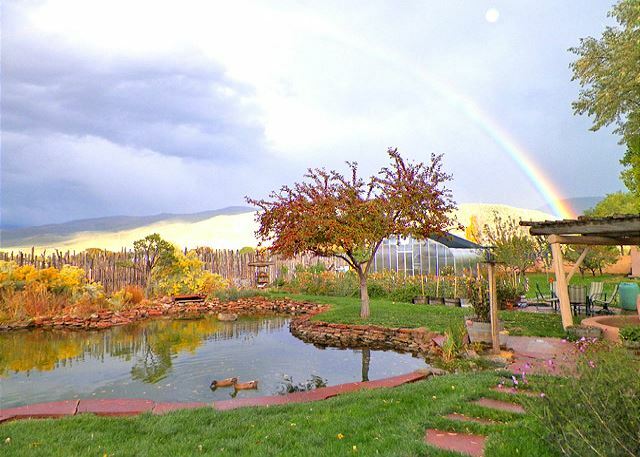 2 miles in the opposite direction is the Youth and Family Center with swimming, ice skating, roller blading, skate boarding, computer lab and more. 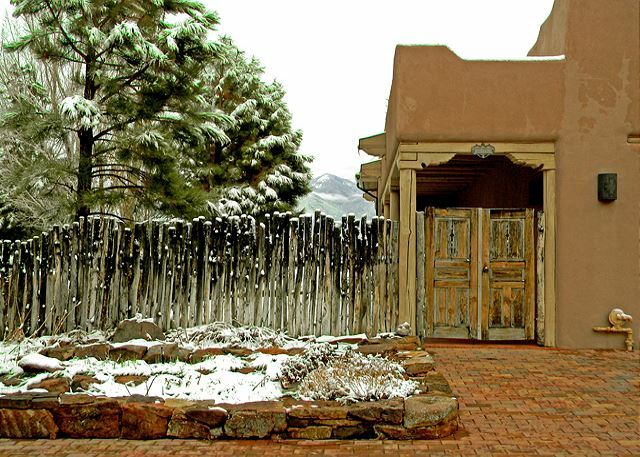 Be sure to pick up the weekly Taos News at any gas station or grocery store for all the latest happenings in this romantic mountain village town.. 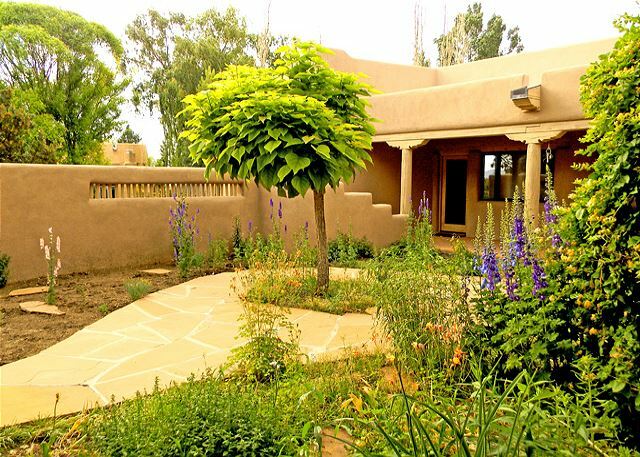 Premiere Properties promises a vacation lodging experience of the most special kind for those who choose to stay at Garden Oasis.